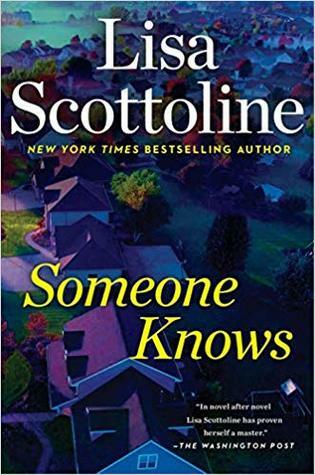 Someone Knows by Lisa Scottoline is a dark suspense read that grips you from the first moment. I felt the character’s guilt immediately. Something really bad had happened. Regret, guilt, and the haunting past keeps haunting the remaining characters from that one night. The tone and mood of this tale read like The Pretty Little Liars novel. They was something that kept the characters from seeking help. Always forced to keep everything secret, yet little by little it eats them whole. Tearing away what little strength they have left. It drives them crazy. Almost to the point of finally wanting to rid of the secrets of that night. This book was mostly a suspenseful mystery. There was a touch of drama but not enough of it like similar reads. The pages kept me hooked. I kept wondering when the secrets would be told and how it would explode upon those that suffered. Overall, Someone Knows was a captivating read. I recommend it to others.